Thank you for this great mode. Can you please tell me how to move the hits on the left side above the Tank icon? I have another mode which shows how many damage I have done and when I add this one it just does it over the other. 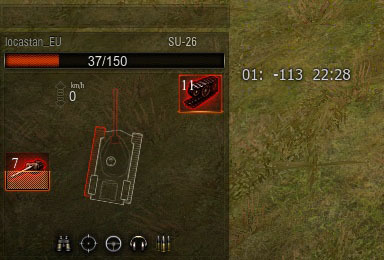 Any way to move the hit menu a bit up on the left side above the tank icon? Thks for this nice mode, but a have a question, how can i see the modules en the version 2? Is this just posible if the module is damaged?